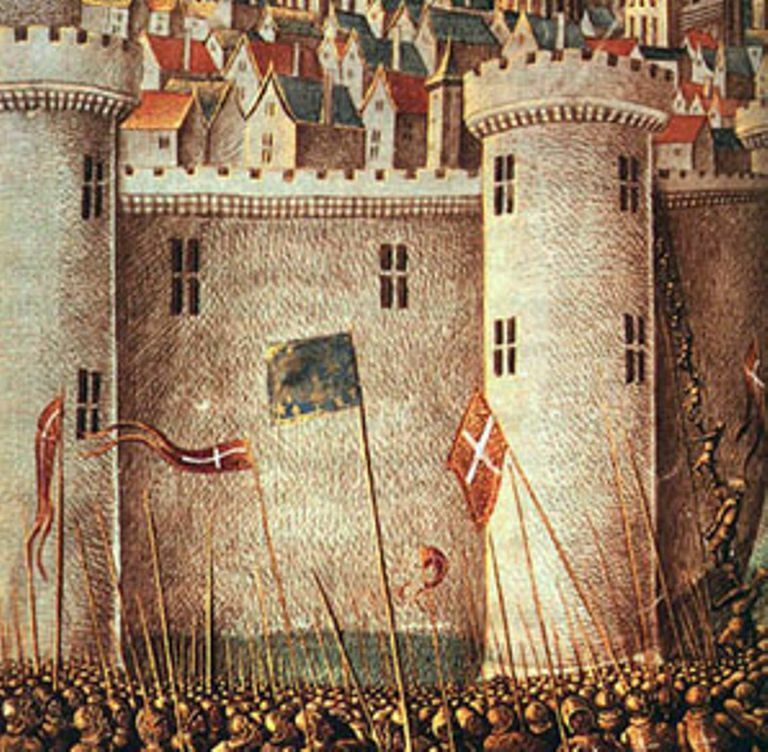 June 3, 1098 - After an eight-month siege, the city of Antioch (right) falls to the Christian army of the First Crusade. Arriving at the city on October 27, 1097, the three principal leaders of the crusade, Godfrey of Bouillon, Bohemund of Taranto, and Raymond IV of Toulouse disagreed over what course of action to follow. Raymond advocated a frontal assault on the city's defenses, while his compatriots favored laying siege. Bohemund and Godfrey ultimately prevailed and the city was loosely invested. As the crusaders lacked the men to completely surround Antioch, the southern and eastern gates were left unblockaded allowing the governor, Yaghi-Siyan, to bring food into the city. In November, the crusaders were reinforced by troops under Bohemund's nephew, Tancred. The following month they defeated an army sent to relieve the city by Duqaq of Damascus.